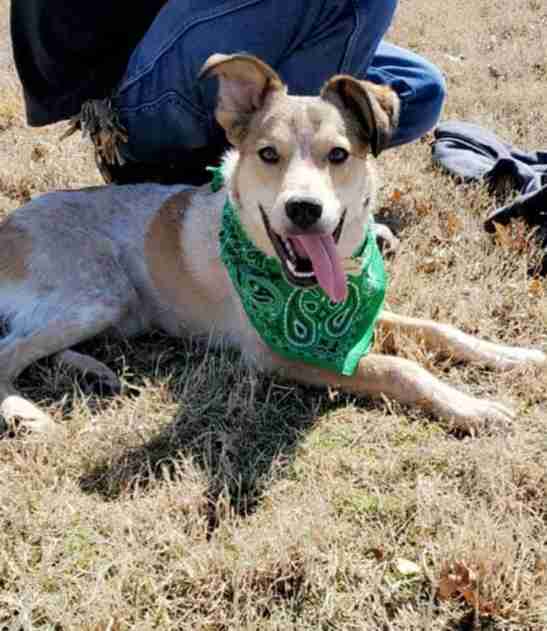 Someone had just left him there — but he has the best family now! 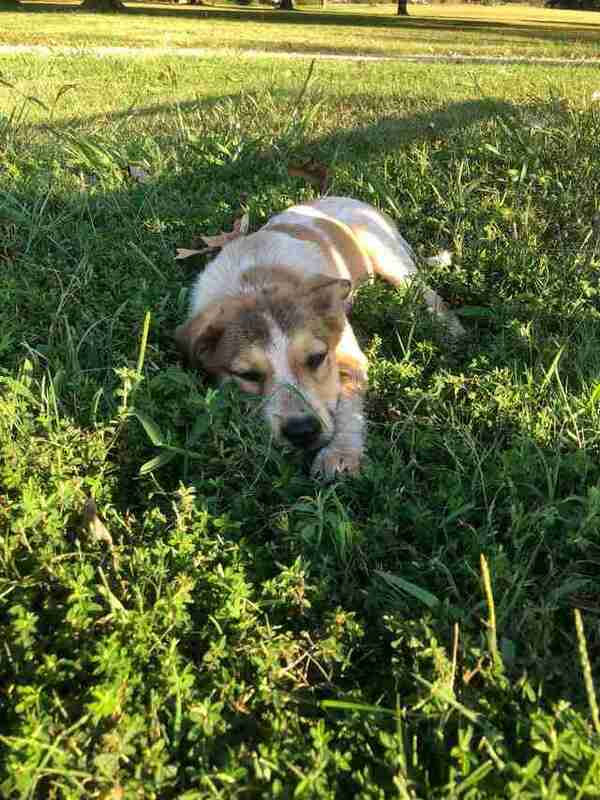 A group of friends were out walking their dogs through a park in Oklahoma one morning when they suddenly noticed a tiny puppy, just lying in the grass. He was incredibly skinny and missing some patches of fur, and overall looked very defeated. As soon as he noticed the group, however, he perked up and started to follow them — and they immediately decided they couldn’t just leave him behind. 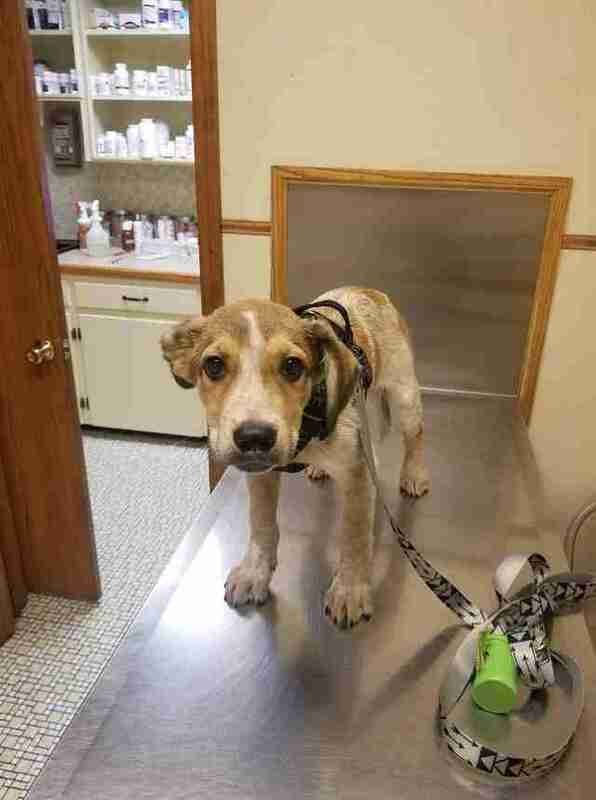 The group arranged to take the little puppy straight to the vet to get him checked over and scanned for a microchip, but unfortunately he didn’t have one. They kept him for two weeks, posting about him online and searching everywhere they could think of for someone who could be missing him, but they came up completely empty, and thus began the search for his new family. Katy and Jacob Bywater were friends with the group who found the puppy and had actually been looking to adopt a dog within the next few months. 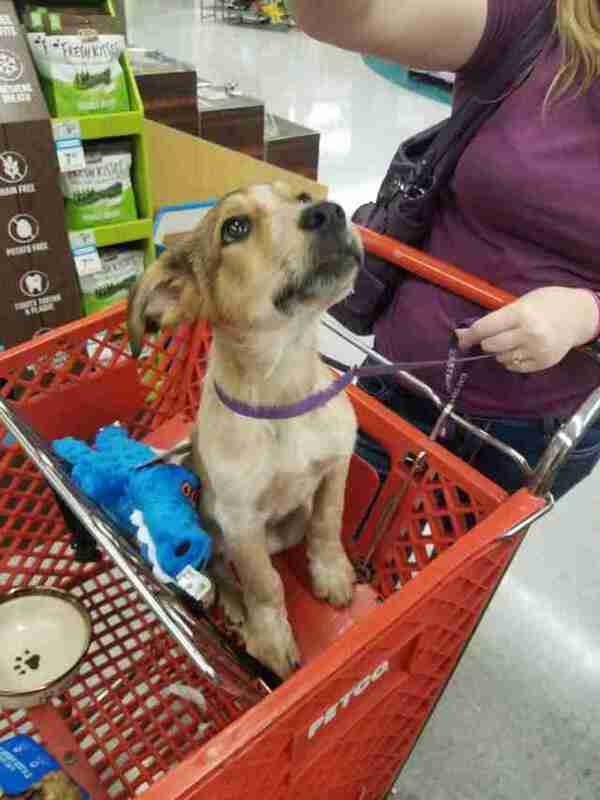 Their friends asked them if they would be interested in taking the puppy, and even though they didn’t know anything about him, they had a feeling he was meant to be their dog. They decided to name the puppy Strider, and welcomed him into their family. At first, he was very timid and didn’t seem interested in playing much. It was almost as if he didn’t know how, as if no one had ever bothered to teach him. 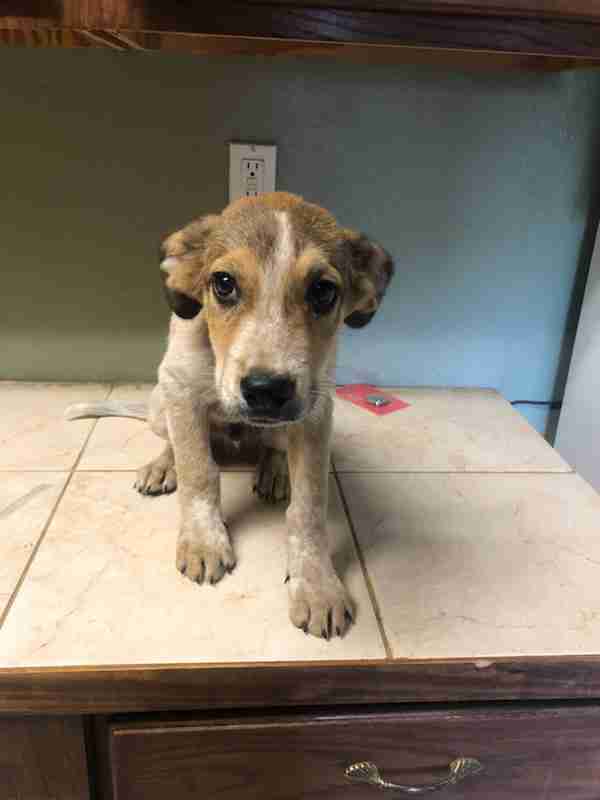 He was around 10 weeks old at that point, and after taking him to a vet, it was determined that he was likely a red heeler and beagle mix, and wouldn’t grow to be too large. The couple was thrilled about this, as they’d been looking for a dog on the smaller side — but as the weeks went by, it became very clear that their little puppy wasn’t going to stay little for very long. Strider turned out to be quite the surprise, but his new parents wouldn’t change a single thing about him. Each day he seems to get bigger and bigger, and with every day that passes he’s also coming out of his shell more, too. He’s no longer that little scared puppy who was found at the park, and has grown into a playful, goofy dog who loves running around and playing with his family every chance he gets. You can follow Strider and his adventures on his Facebook page.